Dr Anne Hollman graduated from Bristol University in 1979. She moved up to Glasgow with her husband, Professor Gordon Dutton, in 1982. 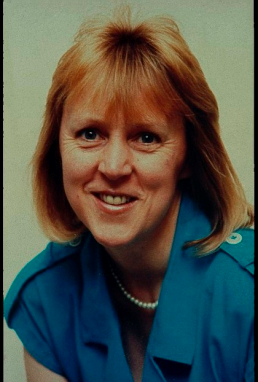 She was a Consultant Paediatric Radiologist at the Royal Hospital for Sick Children, Glasgow, with a special interest in ultrasound, and was the SRS Secretary from 1995-98. Dr Hollman published widely and won the Jacques Lefèbvre award at the European Society for Paediatric Radiology in 1992 (for the best research presentation from a young radiologist). She and was recognised nationally and internationally as a superb teacher was the Regional Postgraduate Education Advisor for the Royal College of Radiologists, ensuring the best for trainees. She also chaired the organising committee for the 31st BMUS annual meeting in 1999. Despite her busy schedule, she found time to care for her adored family, friends and colleagues. Staff came to her with their troubles and she was also a committed member of her church. A school in Guatemala bears a permanent memorial in remembrance of the support and donations generated by Dr Hollman and her church. Dr Hollman died in 1999 of small cell lung cancer aged 42. 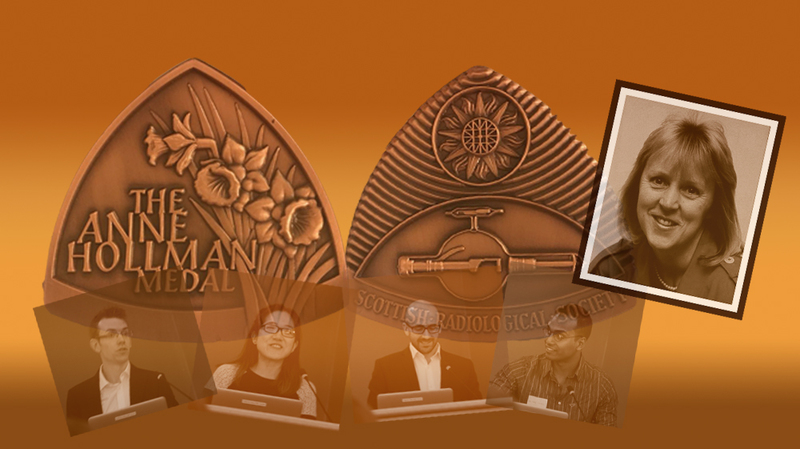 The Anne Hollman Medal was donated by Prof Dutton in her memory to encourage academic pursuits amongst young radiologists in Scotland. The prize is awarded annually at the SRS Autumn meeting for the best oral presentation by a radiology registrar. Entry for this year’s Anne Hollman Medal competition has now closed. Trainee presentations will be at the SRS AGM on 02 Nov 2018 at BT Murrayfield Stadium, Edinburgh. The utility of F18-Choline PET/CT for the localisation of parathyroid adenomata in patients with Primary Hyperparathryoidism (PHP) with negative or equivocal conventional imaging. Mark Rodrigues. Royal Infirmary of Edinburgh. Teaching from every angle : Imaging education using online case based teaching and 3D technologies. Williams MC, Dweck MR, Misadraee S, Golay SK, Weir N, van Beek E, Reid J, McKillop G, Uren N, Newby DE. Can the ring sign improve the performance of shearwave elastography in benign/malignant differentiation of screen detected solid breast masses? Szewczyk-Bieda M, Vinnicombe S, Whelehan P, Thomson K, Evans A. Learning from mistakes: developing ‘review’ areas for abdominal imaging. Weir-McCall J, Duncan G, Yeap PM, Budak MJ, Zealley I, Oliver TB.